When you’re ready to remodel your Northern Colorado home, you’re sure to be excited. New year, new you—am I right? However, it’s important to make sure you’re choosing the best company for the job. As a homeowner, you’ll want to carefully screen any potential contractors to ensure that you’re working with a reputable professional. Not sure how to do that? Here are five questions to ask before hiring a contractor (and how to know they’re fit for the job based on their responses!). 1. What’s your license number? 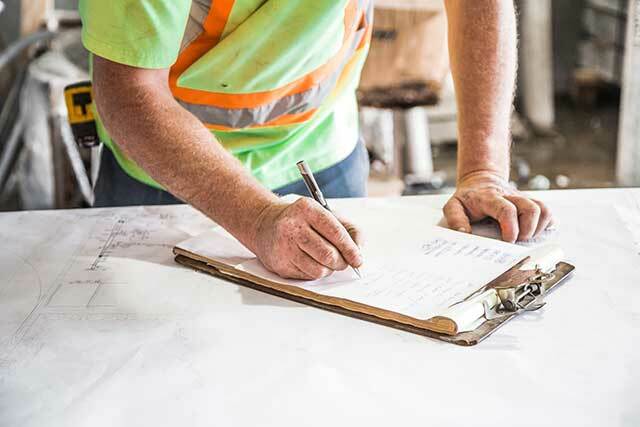 In Colorado, general contractors have to obtain licensing at the municipal level in order to operate a legitimate business. Types of licenses vary by city, so check with your local government before asking this question to see what kind of license they will need to provide you. Asking to see their license number is a great initial way to verify if they are a viable option before getting in too deep. 2. Have you ever worked under a different name? Reviews and testimonials are a great way to tell if you want to work with a specific home improvement contractor. However, you might not be getting all the facts if they used to go by a different name. Operating under a different name is often a sign of shady practices—so be very cautious and do your research if the answer is yes. 3. Can I have a copy of your insurance policy? Always ask for a copy of a contractor’s insurance policy. With the policy in hand, you’ll be able to tell that (1) they have insurance and (2) they have enough insurance to cover your property if things go sour. If the contractor is not properly insured, you could be liable. 4. How much will my home remodel cost? Don’t wait until a project starts to ask this question. Make sure you’re getting all of your facts and figures up front and in writing. Make sure estimates are detailed and ask additional questions if you are confused about the cost of something. It’s much more difficult to negotiate price once the project is complete. Having all of your numbers up front can also help you compare costs among contractors to make sure you’re getting a fair deal. 5. How many projects like mine have you done before? You have a specific home remodeling project in mind—that’s great! However, it’s important to work with a contractor that specializes the type of home remodeling you want to see through. Asking questions about your specific project and getting past examples will help you see, visually, whether or not they are the best fit for your project. Our team is always happy to answer any questions you may have about the home improvement process, cost, and more. Tough questions are our speciality—plus, we think any reliable remodeling or home improvement company in Northern Colorado should be happy to answer questions. If they seem disgruntled by your questions, they’re not the right fit anyway. Looking to remodel your home in Northern Colorado? H3 Construction and Design is one of the most trusted home addition contractors in the Loveland, Colorado area. Call us today at 970-515-2264 to learn more about our expert remodeling services or contact us online—we can’t wait to work with you!